So, technically speaking we’ve featured these B-town kids before but, it was so long ago, that we couldn’t remember who they were/what they did or if we actually liked them. In the interest of clarity we thought we’d start things up again with a new introducing feature. They’re friends with Jaws, play dark, scuzzy surf-pop and have released relatively little considering how long they’ve been going and the style of music they play. Its a casual form of shoe gazing slacker pop which, at times, sounds almost half baked. It would be wrong however to write them off as stoners or lazy college kids with minimal talent looking to ride the Peace powered B-town wave. Similarly, and more relevant in this case, there’s nothing inherently wrong with playing or producing a style of music that’s on trend so long as the only reason you play it isn’t because it’s on trend. 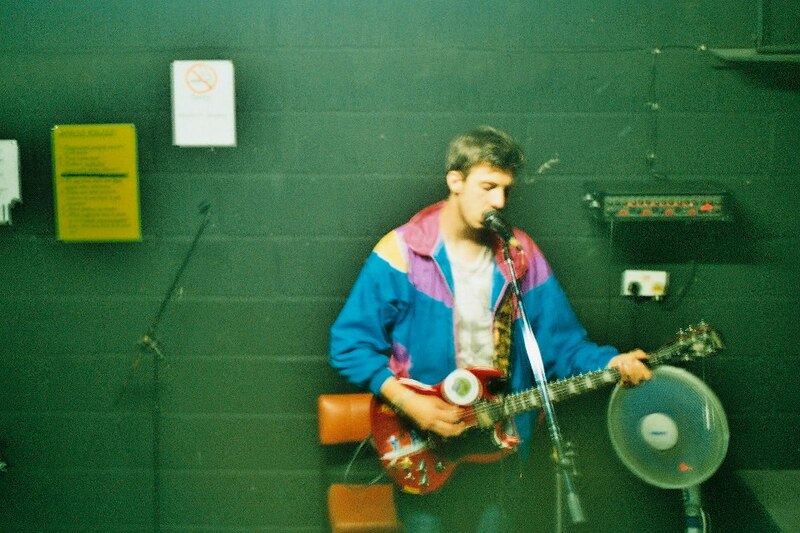 It’s always worth remembering that Lo-fi slacker rock is pretty much what you expect to get when you combine some teenage kids, cheap equipment and home-reocrding. If you were expecting ‘Pet Sounds’ to plop out of their adolescent skulls fully formed you’re probably going to be disappointed. It would be wrong to write off Caves as just another bunch of B-town kids trying to score a record deal and the odd trip to London by emulating Swim Deep. There’s more to ‘Caves’ little arsenal of tunes than the cynical critic might allow and, with B-town looming large this year, they have the perfect stage to prove it. ← Cave Painting Announce Details of New Ep. Stream new single ‘Rio’.